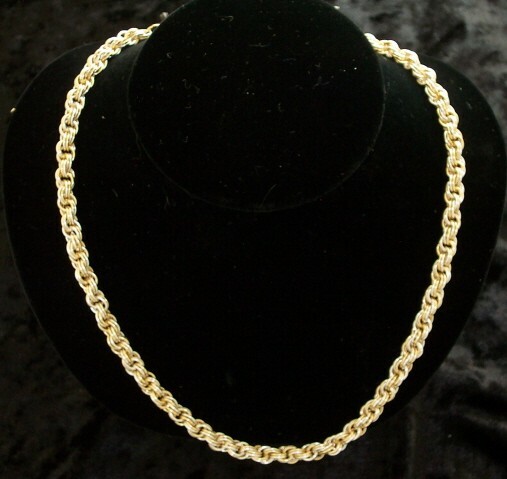 The Double Spiral Rope Necklace is made from a very basic chain mail weave. It is fun to make and works up quickly. The necklace looks like a rope chain that you would have bought in a fine jewelry store. The kit is for an 18 inch necklace. You can make a beautiful jewelry suite of matching bracelet, necklace and earrings. See the bracelet and earring kit sections of the website for the complimentary pieces. A sterling silver or gold filled balloon clasp is included in the kit. This is a beginner weave.